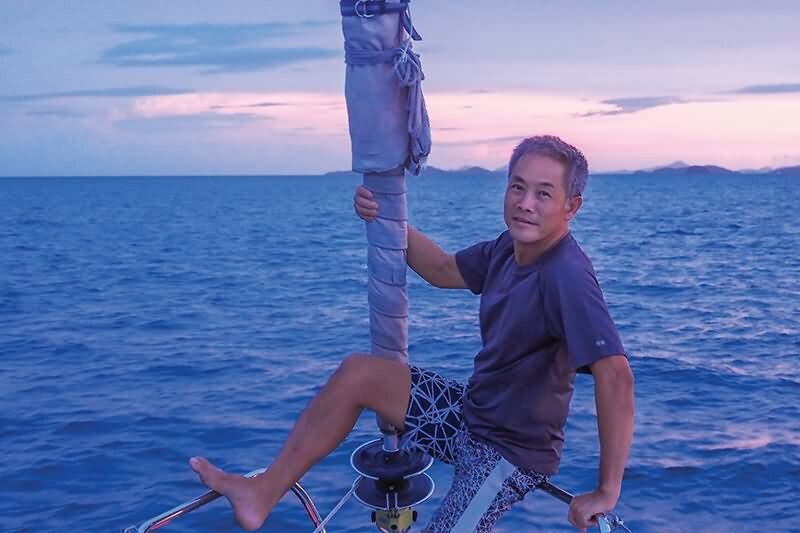 TC Wong, the founder of Ximula, is an adventure seeker, and nothing quench his thirst for adventure like sailing. He believes in eco-friendly, loves nature and most of the all, the vast sea. While there are many methods of transportation on the sea, he prefers the environmentally friendly, peaceful and pure medium of sailing. 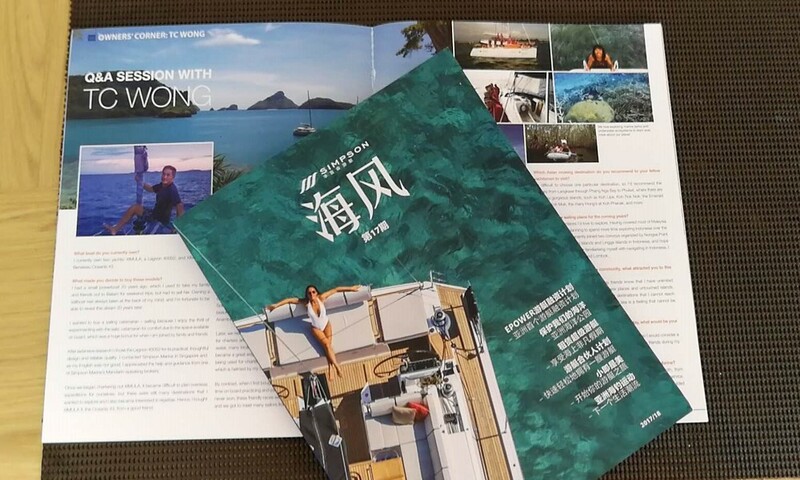 TC Wong was featured on “Sea Breeze”, where he shared his passion and experience on sailing. 1. What boat do you currently own? I currently own two yachts: XIMULA, a Lagoon 400S2, and XIMULA II, a Beneteau Oceanis 43. 2. What made you decide to buy these models? I had a small powerboat 20 years ago, which I used to take my family and friends out to Batam for weekend trips, but had to sell her. Owning a sailboat has always been at the back of my mind, and I’m fortunate to be able to revisit this dream 20 years later. I wanted to buy a sailing catamaran – sailing because I enjoy the thrill of experimenting with the sails; catamaran for comfort due to the space available on board, which was a huge bonus for when I am joined by family and friends. After extensive research I chose the Lagoon 400S2 for its practical, thoughtful design and reliable quality. I contacted Simpson Marine in Singapore and, as my English was not good, I appreciated the help and guidance from one of Simpson Marine’s Mandarin-speaking brokers. Once we began chartering out XIMULA, it became difficult to plan overseas expeditions for ourselves, but there were still many destinations that I wanted to explore and I also became interested in regattas. Hence, I bought XIMULA II, the Oceanis 43, from a good friend. 3. Where are the boats based? XIMULA is based at ONE 15 Marina Club, Singapore. XIMULA II is currently based in Phuket for a year, so that I can explore all the breathtaking islands around Phuket at my own pace. 4. How do you use your yachts? 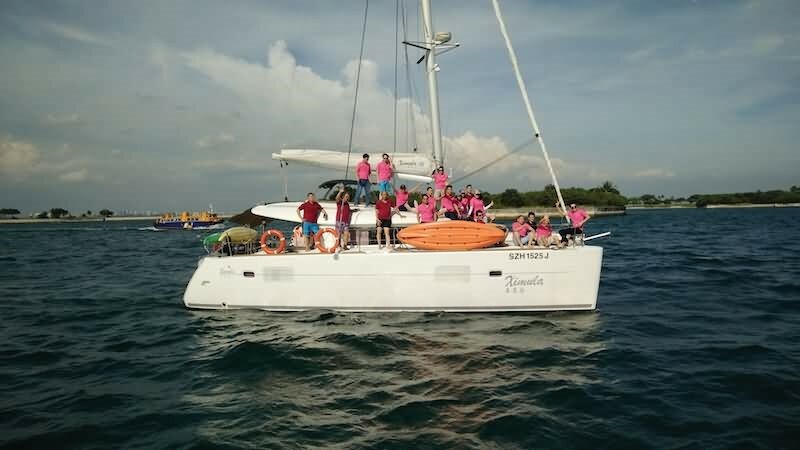 When I first took delivery of XIMULA in 2013, I took her out almost every day with my family, friends, staff and business associates to explore the Southern Islands of Singapore. 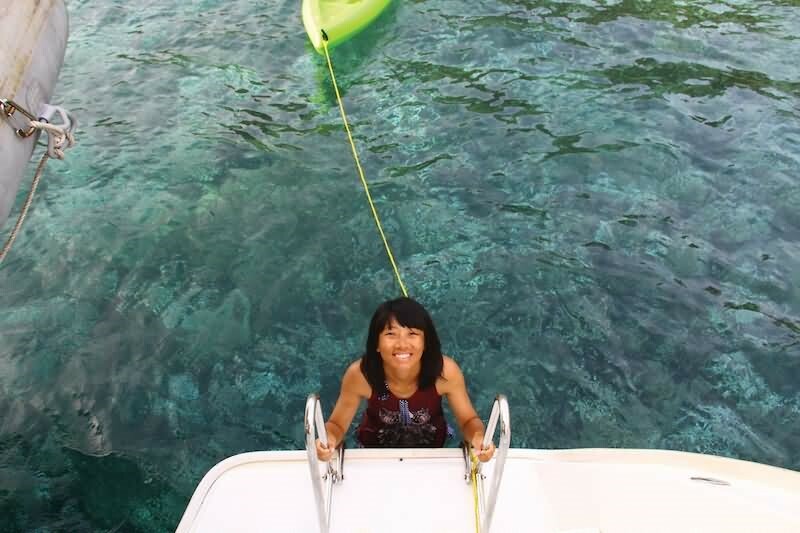 I also sailed together with my family to many beautiful neighboring destinations, such as Pulau Tioman and Sibu, the Anambas Islands, Koh Lipe and the other islands in Phang Nga Bay. 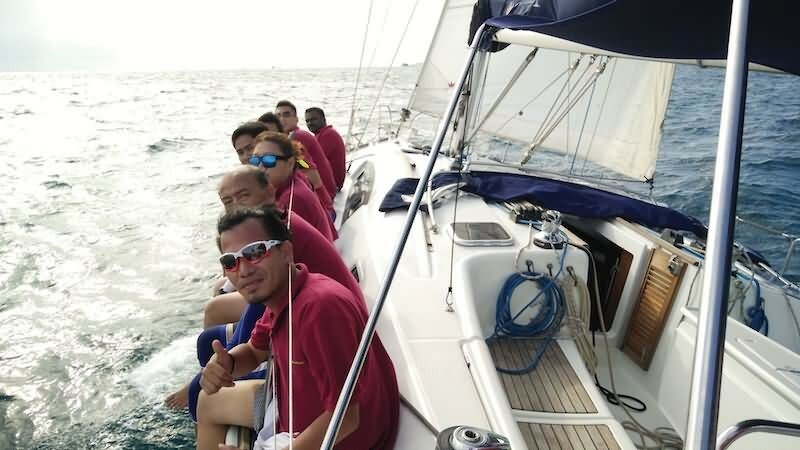 Later, we realized that there was significant opportunity to rent out XIMULA for charters around Singapore. Despite our country being surrounded by water, many locals are unaware of the boating lifestyle here and charters became a great way for us to share our passion for sailing. 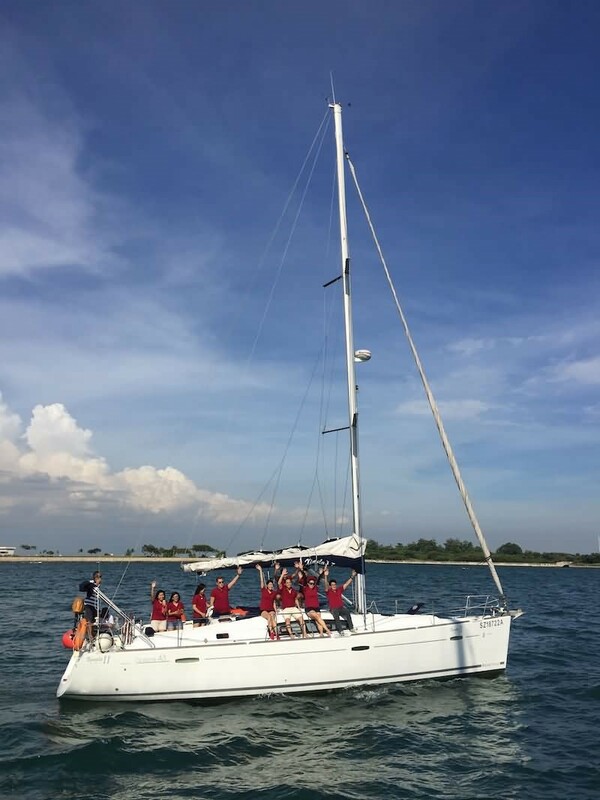 XIMULA is now being used for charters around Singapore, under the brand XIMULA Sail which is helmed by my daughter, Minqi. By contrast, when I first bought XIMULA II, my staff and I spent most of our time on board practicing and participating in local regattas and although we never won, these friendly races were always a great experience for all of us, and we got to meet many sailors from all over the world. Now, XIMULA II is based in Phuket, and I fly over at least once a month, whenever my work schedule permits. My staff also take turns to take time off work and fly over to join me and go sailing around the islands over there. 5. What is your favourite moment from time on your yachts? Definitely the moment when we have hoisted all our sails to harness the power of the wind and have switched off our engines, and all we can hear is the sound of the waves as we sail. This is such a serene moment, one I believe every sailor lives for. 6. What has been your most memorable trip/experience and why? There are too many memorable experiences! I could talk about them all day and never finish. But if I were to choose one to share, it would be enduring a 60-hour journey from Pulau Redang, Malaysia to our destination, Koh Samui, Thailand, plagued by endless thunderstorms of 70-knots wind and 4-metre waves. It was a long and terrifying encounter and I’m glad we survived it as it showed me that it was possible to sail through such challenging conditions. It also made me realise there is still a lot to learn about utilising our sails to stabilise the boat in the midst of pounding waves, and taught me to be better equipped. 7. What is your favorite place on board? When we’re under way, my favorite place is definitely at the helm. Once we’re anchored, I love sitting on either of the little chairs at the bow corners of XIMULA, just enjoying the breeze and scenery. 8. Which Asian cruising destination do you recommend to your fellow yachtsmen to visit? It’s difficult to choose one particular destination, so I’d recommend the journey from Langkawi through Phang Nga Bay to Phuket, where there are so many gorgeous islands, such as Koh Lipe, Koh Rok Nok, the Emerald Cave of Koh Muk, the many Hong’s at Koh Phanak, and more. 9. What are your sailing plans for the coming years? I still have many places I’d love to explore. Having covered most of Malaysia and Thailand, I’m planning to spend more time exploring Indonesia over the next few years. We recently joined two convoys organized by Nongsa Point Marina to the Tambelan Islands and Lingga Islands in Indonesia, and hope to do more of these. After familiarising myself with navigating in Indonesia, I hope to sail further to Bali and Lombok. 10. Why did you join the yachting community, what attracted you to this lifestyle? I am an adventurer at heart and my friends know that I have unlimited energy when it comes to exploring new places and untouched islands. Sailing enables me to travel to beautiful destinations that I cannot reach by plane. The freedom and serenity out at sea is a feeling that cannot be experienced elsewhere. 11. If you could change your boat for another one day, what would be your next one and why? I love catamarans for the luxury of space they provide so I would consider a slightly bigger catamaran, so that I can bring along more friends during my longer expeditions! 12. And how about your experience of working with Simpson Marine? My experience with Simpson Marine has been great and smooth, from comparing the various models to the purchase to the after-sales service. Simpson Marine also has offices in many parts of Asia, which provided prompt technical support from across the region.